Prefabrication is the practice of assembling components of a structure in a factory and transporting complete assemblies or sub-assemblies to the construction site where the structure is to be located. The term is used to distinguish this process from the more conventional construction practice of transporting the basic materials to the construction site where all assembly is carried out. The housing unit, prefabricated, modular and/or container is an emphasis on the new housing industry, that is concerned by construction qualities with the benefits of a shorter building time and thereby a potential for lower cost homes. - Complete factory-built dwellings arriving on trucks ready to live in. - To be customized to fit any costumers needs. The structures are already pre-assembled, the only thing to do on site is attaching and welding the modules together and then connecting them to the utilities. The architecturally designed prefabricated home can preferable integrate all the environmentally friendly and sustainable features like harvesting water, energy efficiencies, solar management and maximizing natural light, recyclable materials and low VOC paints . By incorporating these essential details and innovations into the structure we can obtain a nearly self-sufficient house. 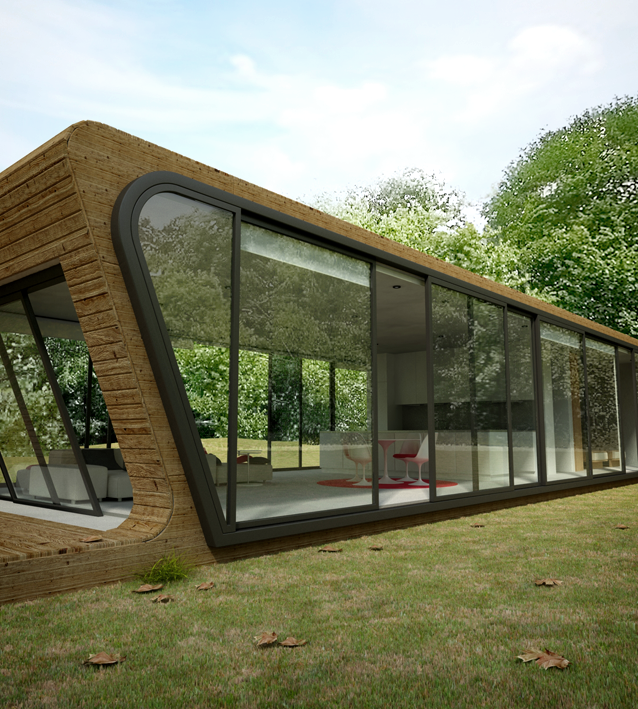 The housing prototype are designed for a Ã¯Â¿Â½new ecologicalÃ¯Â¿Â½ awareness. The Prefab and Modular housing approach is as much about economy and efficiency of construction as it is about building homes that offer quality for the users.